These areas are the main focus of our business. We can provide a 3D modelling service, with animation and photorealistic rendered image production capability. Experienced in the use of AVEVA PDMS v11.6 and v12.0 and Z+F LFM server packages. Extensive experience interpreting cloud scan data. Experienced in complex structural design deliverable checking. We provide a constructive and detailed checking process. We have extensive experience in the production of structural drawings; from handrails through to complex caisson destruct and construct scopes. We are a small independent design company with a firm focus on safe, accurate and timely delivery. Based in Aberdeen but available to complete or assist with structural design scopes across the United Kingdom Continental Shelf. Our team are experienced in topside modifications on fixed jacket platforms and Floating Production and Storage Vessels (FPSO's). We have a continued focus on accuracy and quality assurance. To delivery of scopes within agreed timeframe and budget. With all relevant British, International and Client standards. We will not compromise on any safety aspects of any scope. 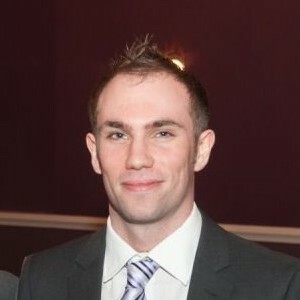 Martin has 7 years of experience in the UKCS oil and gas industry, working for clients such as Apache Corp, Hess and latterly Talisman Sinopec UK. In his spare time he enjoys road cycling and mountain biking. We can design, host and manage your website and will always ensure that domains are always in your name, unlike many larger companies. Take a closer look around this site, we built it! Looking to build a home or small business network? or, looking for advice on the what software to invest in, and how to use it? We can assist. We can assist with the production of material for your website, refresh your company’s logo or create a new suite of stationery. © Copyright 2015 MJR Structural Design Ltd.